Today starts a new and continuing series about authors of the Pacific Northwest. Some have lived in these northern states, some still do, and a few may live elsewhere but enjoy setting their stories amidst the beauty found here. Since we did our Author series on Florida, as far south and east as you can get in the United States, it seems appropriate to go to the opposite end of the continuous States, to the Pacific Northwest. It was great fun to read some of the variety of Florida authors. Perhaps it because of the sultry climate, or the mix of people who have migrated there, but the stories were distinctively different, showing a seamy side of the state. We all have our own picture of Florida: Miami Beach, Disney World, the Keys… The sandy beaches, the sultry air, the dramatic storms. It makes a great setting for murder mysteries. So we head to the the Northern States. Washington, Oregon, Idaho, and Montana are included. Much of the climate and the terrain is different from the southwest, though in the summers there is sufficient heat to be found. And both are popular for their waters. You will find a rocky, dramatic coast, with the numerous islands that lay between Washington and Canada. Rivers run everywhere, fed by melting snow from the beautiful, snow covered mountain ranges. Ocean temperatures are substantially lower than those in Florida, and instead of swaying palms, you find forests so thick they look nearly impenetrable. There are other differences. You will probably find more rifles than hand guns once you are out of the city. Head to the mountains where you may find hunters, survivalists, back to basics individuals carving out their own lives off the grid. Hunting, wildlife, freezing temperatures with snow and ice, include dangers that may differ from the cities. The popular destination cities of Seattle, Portland, and Boise offer an often gloomy setting with the damp and the fog, though there is far more sunshine than you know. They are trendy cities that locals and tourist both adore. With that in mind, we are on a search for well known and lesser known authors of the area. 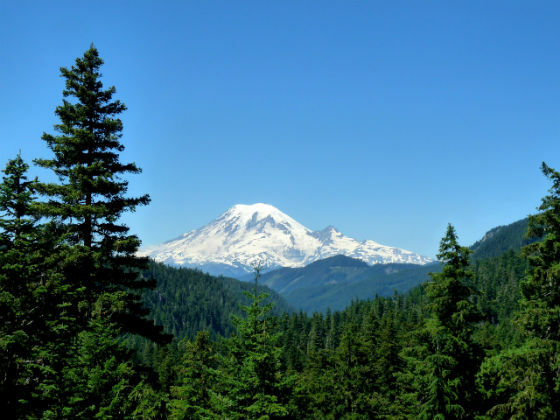 It’s fun to run across the ones that are strictly native, with their unique viewpoint of the area, but any of the featured authors present the Pacific Northwest in a way will make you want to visit us here. The authors here aren’t in a particular order, except perhaps the order in which I read them. Watch for more to be added too, as it will be updated anytime we read a new one.. There are many well known names here. Many profilic, best selling authors. Elizabeth George, Phillip Margolin, J A Jance, Lisa Jackson, Ridley Pearson have each written many successful novels. Below you will find a little information on the author and links to reviews we’ve written on their novels. I’m sure you will have read or heard of many of them. A few of the names surprised me, such as Elizabeth George. With her Inspector Linley series, I expected her to live in England. A good reason to read about the author when you are reading their books. Lisa Jackson is a long time favorite of mine. With several ongoing series, she has over eighty-five novels published. She’s been writing for over twenty-five years now, lately co-authoring some books with sister, Nancy Bush. The Montoya/Bentz series is located in the south, in set in the New Orleans area. One of her most recent releases, Never Die Alone, takes us back there after a several year respite. The two detectives have faced serial killers, cold cases and plenty of danger. It’s the series that first got me hooked on Lisa Jackson. Loved the suspense and the romance in the series. One of the latest, and perhaps even more suspenseful, is the Nikki Gillette and Pierce Reed series. The Night Before and The Morning After were very unique psychological dramas that I’ve read more than once. The characters featured in the novels are well portrayed. The stories really draw you in. Ms. Jackson grew up in Oregon and attended Oregon State University. She still makes her home on the coast of the Pacific Northwest. Boyd Morrison is a newer find that writes a terrific suspense thriller. The Tyler Lock series offers adventures similar to Clive Cussler’s popular novels. Tyler brings to the table engineering, science, and skills that manage to get him out of very difficult situations. He’s a hit. He is also a co writer recently with Clive Cussler for Mr. Cussler’s Oregon Files series. Juan Cabrillo, his crew, and the ship, The Oregon, make a fantastic series that always entertains. He is working on additional collaborations with Mr Cussler as well. Piranha is the latest in the series. Mr. Morrison is living now in Seattle, Washington with his wife. The location offers him opportunity to scuba dive, white water raft, and partake of his other favorite sports. Besides working for both NASA and Microsoft, this author is the only one I know that is also a Jeopardy Champion—A very well developed background of varied interests! Kate Wilhelm is a writer out of Eugene, Oregon. She lives and writes there as well as setting her popular Barbara Holloway series there. With a dozen books in that series, as well as many stand alone novels in both mystery and science fiction, Mr. Wilhelm has written over thirty successful novels. The Barbara Holloway series revolves around attorney Barbara, her father, Frank, who is also an attorney, and murder. She gets involved in the investigations thoroughly, putting herself, her father, and sometimes her clients at risk. Phillip Margolin is a wonderful author I had heard of for years, but only began reading a few months ago. What a find, with over twenty books published. Mr. Margolin is well established in the Oregon legal community. He worked for the Court of Appeals first, and has been a criminal defense attorney since. With around twenty-five years of experience, when he writes any courtroom drama you know it is accurate and realistic. Writing full time since 1996, you will find his novels full of complex plots, well formed characters, and detailed settings. Supreme Justice is part of the Dana Cutler/Brad Miller series. Dana is a PI, Brad, at the time, a Supreme Court Clerk. His other series, the Amanda Jaffe series features another criminal defense attorney, along with an attorney father. You will find Mr. Margolin pulls you right into his stories, glued to the pages until you reach the exciting, surprising conclusion. I’m so looking forward to reading more. Kendra Elliot is one of the newer authors in our group. Her first romantic suspense novel, Hidden, was published in 2012. Since then she has been accumulating nominations and awards, including the Daphne DuMaurier Award for best Romantic Suspense for 2014 for her books, Buried and Vanished. The books reviewed here are both part of the McLane and Callahan series. Mason Callahan is with the Oregon State Police. Ava McLane is an FBI agent. The two work especially well together, plus develop a relationship that is entertaining to watch. I’ve enjoyed the series very much so far. Ms. Elliot was raised and still lives in the Pacific Northwest. Ridley Pearson may live in the midwest, but many of his novels take place in the beautiful surroundings of the Pacific Northwest. His Walter Fleming series features the sheriff of Sun Valley, Idaho. In Harms Way, is part of the Walter Fleming series. One of my favorite parts of the Pacific Northwest series is seeing how the area is used in the stories. The thick forests provide lots of hiding places, the snowy mountains bring winter danger, and the water—so much water—offers both death and escape. Mr. Pearson uses it all well in his wonderful novels. Another popular series occurs in Seattle, Washington. That one includes the famous Chief Homicide Detective, Lou Boldt, and Police Psychologist, Daphne Matthews. Along with his very popular series, he’s written several stand alones as well. You have around thirty suspense novels to choose from. He is also a prolific author of adventures for young adults, such as the Kingdom Keepers. J A Jance divides her time, living in Seattle, Washington and Arizona. Two of her popular series do the same. The Johanna Brady series takes place in a small town in Arizona, where Brady is sheriff. The J P Beaumont is set in the heart of Seattle. With nearly forty books between those two series, you have to wonder how the author has managed a couple of other series as well. There is the Ali Reynolds series with ten entries, and the Walker Family series of four. Her next book will combine the Beaumont and Walker series. On September 28, 2015, Dance of the Bones will be released in paperback, ebook, and audio. It is already on my wish list. Ms. Jance manages to detail and complex, twisty murder mystery with the real lives of her detectives. Balancing each of their personalities with their families and problems, yet not letting it get in the way of solving the current crime. Very enjoyable. My next by this fine author will be a J P Beaumont. Jayne Anne Krentz published her first novel in 1979, and doesn’t seem to have stopped since. Writing under several pseudonyms over the years, you may now know her as Jayne Anne Krentz for her romantic suspense novels, Jayne Castle for her paranormal and futuristic suspense, and Amanda Quick for her historical novels. She has well over seventy five published novels. Over the years I’ve read quite a few books by her, including some of her paranormal stories. All have been entertaining. Now I focus on her romantic suspense. River Road, Trust No One, are among them, each entertaining. They always keep me coming back for the next one. Which is why I look forward to her coming release on December 8, 2015, titled Secret Sisters, the locale, Washington state. Ms Burroughs has only recently come to my attention, but I can tell I will be reading more books by her. After reading and reviewing The Scent of Lies, I’m curious to see how the characters–and their relationship–develops in her Paradise Valley Mystery series. Debra Burroughs lives in the Pacific Northwest with her family. Her settings remind me of the area, with small town ambience. My next read by her is the first in her other series, the Janessa Jones Mysteries. If you enjoy romantic suspense, you should enjoy both series. This is a long enough list to start, but do check back. There are many more authors to add, including Robert Dugoni, Lisa Gardner, Elizabeth George, and Kyle Mills. Their books are on my desk already. Each author has so many books to choose from. You can check out more from each link if you like. An Interview with Theresa Anzaldua, Author of "We Had A Job To Do"